CAVES takes place in Sardinia, a large Italian island in the Mediterranean Sea. The rugged, sparsely populated island holds many complex caves. Their scale and variety are immense, with large networks of wet and dry caves containing tight tunnels and cathedral-sized chambers. The Supramonte cave complex is in the Lanaitho Valley, part of the Gennargentu National Park, in the middle of the island. 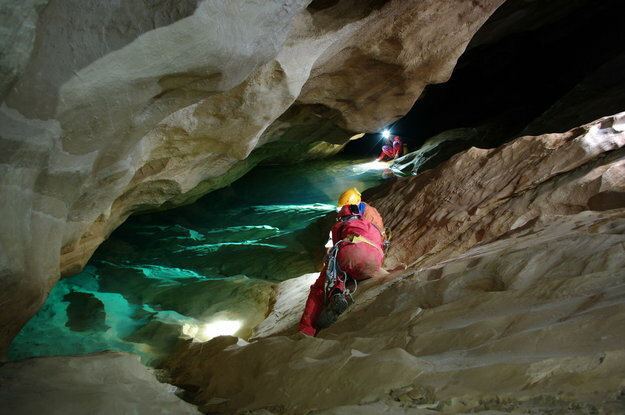 Discovered in the 1950s, this cave system is just a few kilometres away from civilisation, and yet sufficiently remote to offer the isolation typical of spaceflight. Even for fit astronauts, life in a dark, cold and humid cave requires some getting used to and presents psychological and logistical problems. 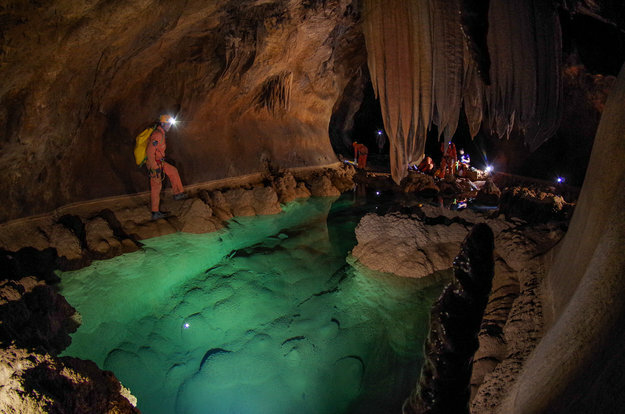 In many ways, the Supramonte cave complex resembles extraterrestrial environments. The caves have a constant temperature of 14°C with full humidity making the area slightly colder than on the International Space Station. 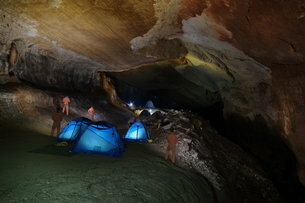 The astronauts set up base camp around six hours from the cave entrance. Drinking water is available here as well as their tents to sleep in for six days. Exploring the blackness offers the thrill and wonders of real exploration. 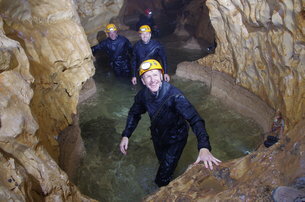 The unusual cave environment is the most demanding but most fulfilling aspect of CAVES training. The astronauts often marvel at the unrivalled natural beauty and sense of accomplishment working together. Our Earth holds much beauty, whether seen from above on the International Space Station or underneath from the Sa Grutta cave.